Contact Janet Mackenzie 57752988 or jmack@netspace.net.au for further information. 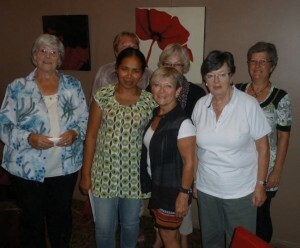 The Mansfield Friends of Venilale, FoV, were delighted to welcome Georgina Sarmento, our Friendship Liaison Officer in Venilale, to Mansfield for two months so that she could learn about Mansfield and improve her English language skills. 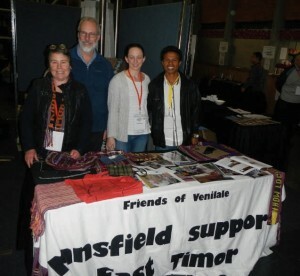 A small group including Joni, the Venilale Tourism Coordinator, attended the Timor Leste Friendship Network Conference in July. 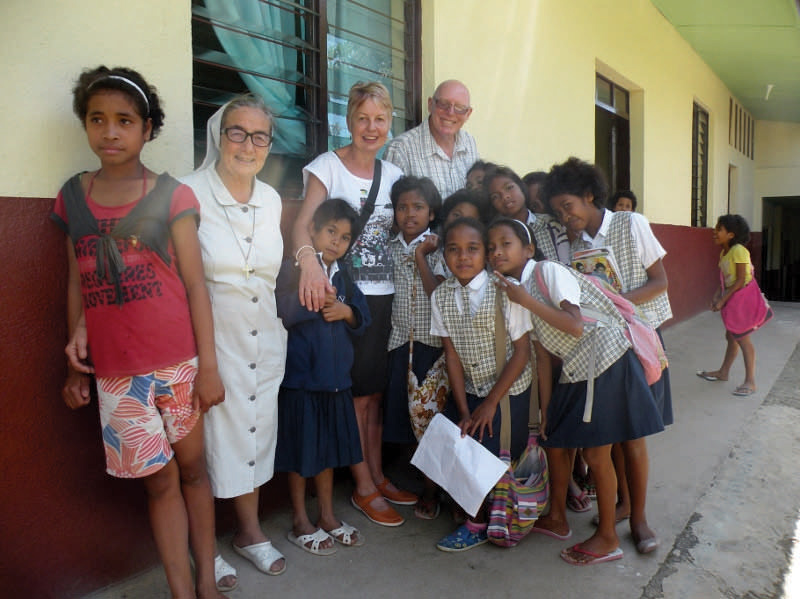 Ann Eldred and Ken Hall visited Venilale as part of their trip to Timor Leste, staying at the orphanage and delivering much needed supplies. 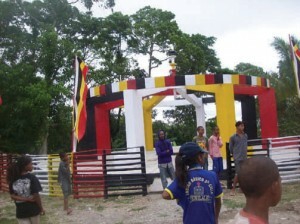 With funding from the government some large projects have been completed in Venilale increasing community pride. You can do 8 or the full 16 km. A rare opportunity with all permissions obtained from local farmers, stiles in place and a delicious BBQ lunch donated by Mansfield Rotary. All proceeds go towards the Scholarship Programme. Janet Mackenzie worked tirelessly to revise and update the FOV Profile. At the Friendship Conference many members from other Friendship groups took a copy and commented on this impressive document which thoroughly describes our structures, history and progress. 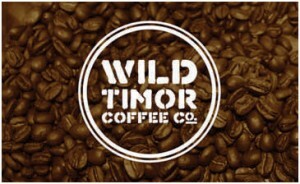 ‘Wild Timor Coffee’ is a coffee importing company founded by four Australian Peace-keepers after returning from service in East Timor. 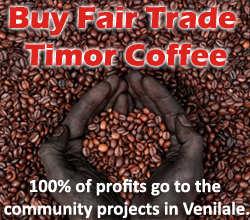 FOV members changed from the previous suppliers because ‘Wild Timor’ was a new business and paid their farmers even better than other fair trade companies. In March, Friends of Venilale sadly farewelled their Friendship Liaison Officer, Mana Georgina Sarmento, after her two-month visit to Mansfield. 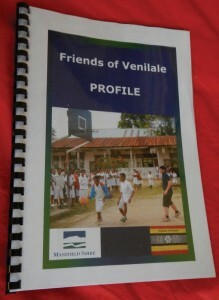 Georgina is employed by Friends of Venilale to promote the friendship relationship between the two municipalities. She was welcomed to the district in January by Mansfield Shire CEO David Roff and received a presentation pack from the shire. 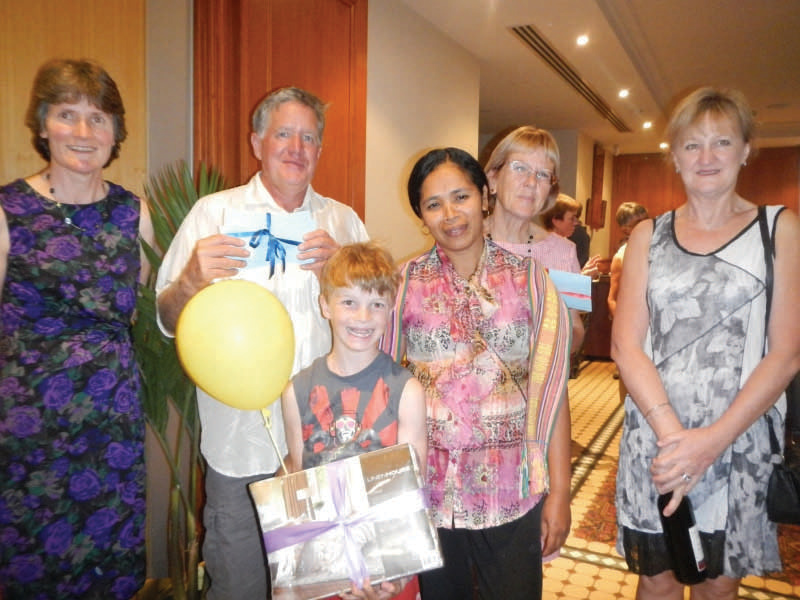 Billeted with host families, Georgina cemented the friendship with her engaging manner and warm personality. During her visit she taught Indonesian classes at Mansfield Secondary College and addressed students there and at primary schools. Visits to MACE, Yooralla Mansfield, Lauriston Girls School Howqua and the Farmhouse Kindergarten rounded out her knowledge of Mansfield’s education services. Her best experience during her stay was making and eating lots of ice cream, but the worst was a trip to the dentist. In Venilale Georgina is the linchpin of the Friendship Relationship. She develops and oversees projects, handles administration and banking for Friends of Venilale, maintains networks, runs community events and supervises the awarding of scholarships. Not only is she a mother of six young children but she is studying for a degree in sociology as well as learning English. with sadness as Friends of Venilale farewelled a valued colleague and true friend. Ann Eldred developed a close affinity for Venilale during a visit in 2010 so she returned with Ken Hall in July. 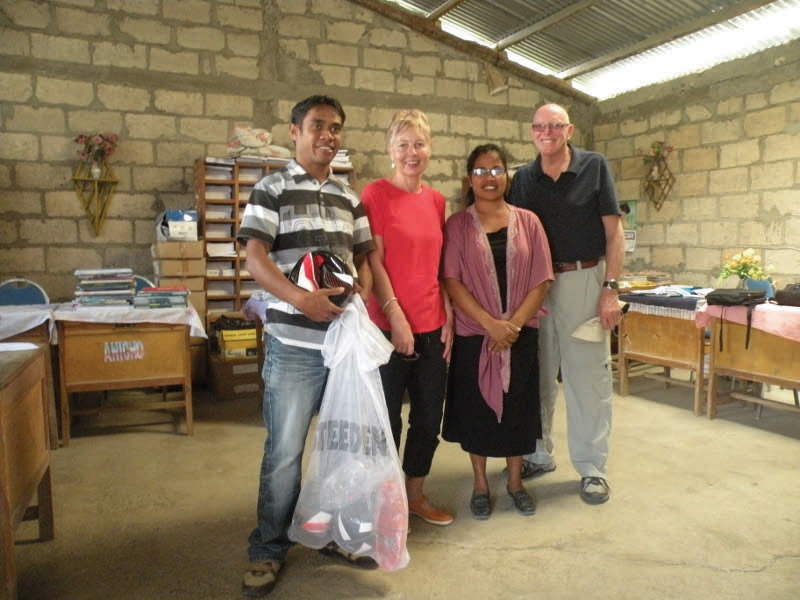 With bags bulging with donated goods, the couple were welcomed with open arms. Fundraising for the orphanage was a top priority so the proceeds of a morning tea she organised in Mansfield, were hand delivered. That’s why she firmly states that this is a country where you can individually make a difference. Their special host at the orphanage was Sister Maria, a diminutive and universally loved Italian nun who has dedicated her life to East Timor for 25 years. Ann and Ken bought $200 worth of soccer balls and basketballs, funded by Mansfield Apex. They distributed them to appreciative students at Venilale Senior High School and the remote Uai Laco Junior High School which is an hour’s 4WD trip from Venilale. They discovered that students walk up to two hours each way to school and during the wet season often even sleep at the school. Medical supplies were donated to the Salesian Medical Centre by Dr Peter Cullen of Mansfield Veterinary Clinic. He hopes to expand assistance next year. 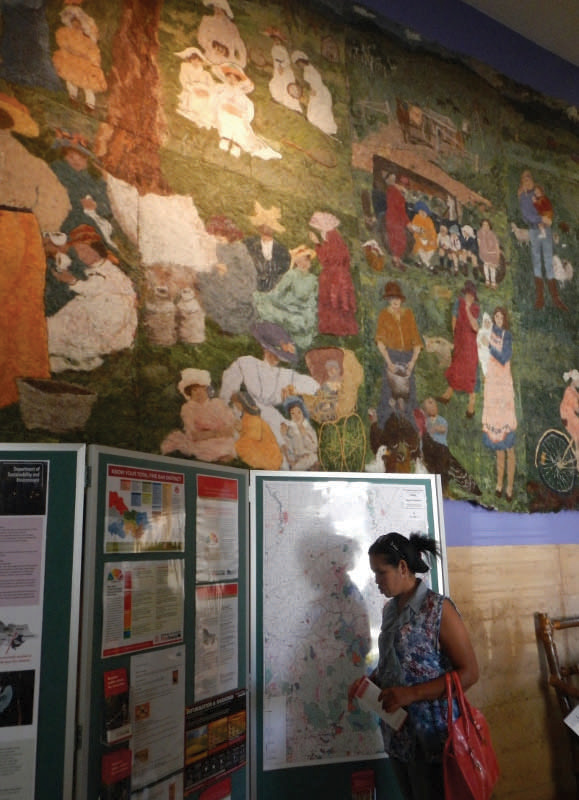 In Venilale they bought reams of exquisite local weaving for selling in Mansfield. 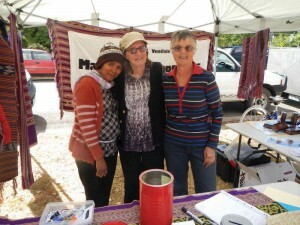 Look for it at the Made in Mansfield shop and at bush markets. The profits will be returned to the weavers. For Ken it was his first visit to this neighbouring country so close to Australia. He commented on the friendliness of the people and the relative lack of development compared to other Asian countries he has experienced. 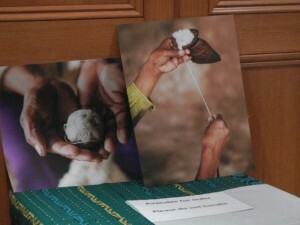 He also described how beautiful the rice paddies look with a backdrop of dramatic mountains. 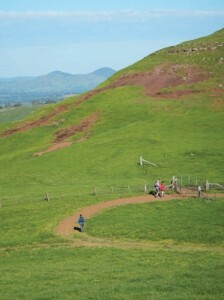 Much of the trip to Venilale involves a coastal route that more than rivals the Great Ocean Road. He was amazed at all the farm animals by the road and the hundreds of children in bright uniforms walking to and from school. 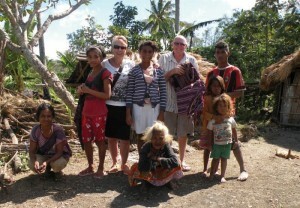 The couple travelled further east to Lospalos where they met their sponsor child who is supported through Childfund Australia. 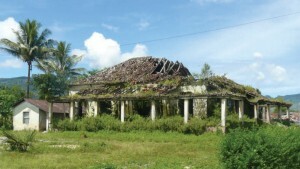 Their visit certainly continued to consolidate the Mansfield – Venilale friendship town relationship. A group of FOV members attended this rewarding conference and expo. 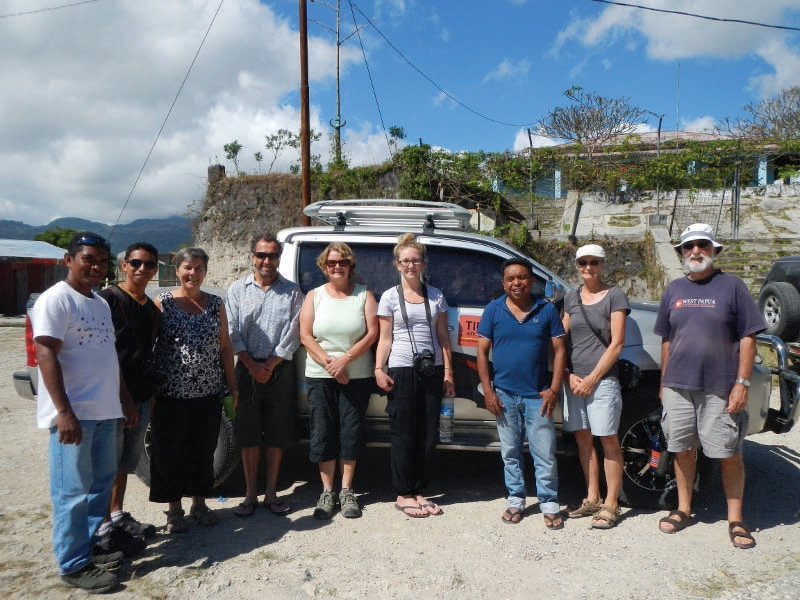 Due to the generosity of Leon and Maggie Potriadis, Judy Doubas and Michelle Harmer, Joni Sarmento, our tourist guide in Venilale, was also able to attend. Australian government ministers, local and federal, joined with ministers from Timor-Leste to describe the progress that has been made and the direction that the TL government has planned for the next 10 years. The significance of this time frame is that this is when the Timor Sea resources will be depleted. the government has new sources of revenue with which to continue to build this fledgling nation. Topics of specific interest to the many Friendship Groups represented included: sustainable agriculture, community housing, community led sanitation, improving educational methods and engaging women in development. 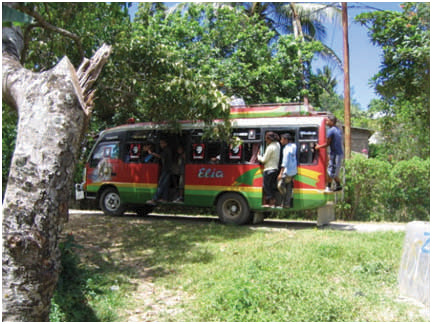 increase in the number of children accessing education and facilities like the medical centre and maternity building. Venilale has applied for one last AVI, Australian Volunteer International, to complete the process of capacity building with the local women, the tour guide and the Friendship Liaison Officer. 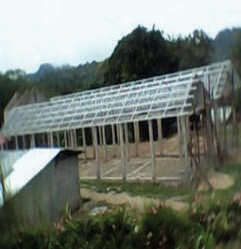 The Timor-Leste government has funded significant improvements within the Venilale area under the management of the Sub-District Administration. Vital new roads, an independence memorial and the restoration of old Portuguese buildings into useful community facilities are a visible sign of the new direction of Timor-Leste. 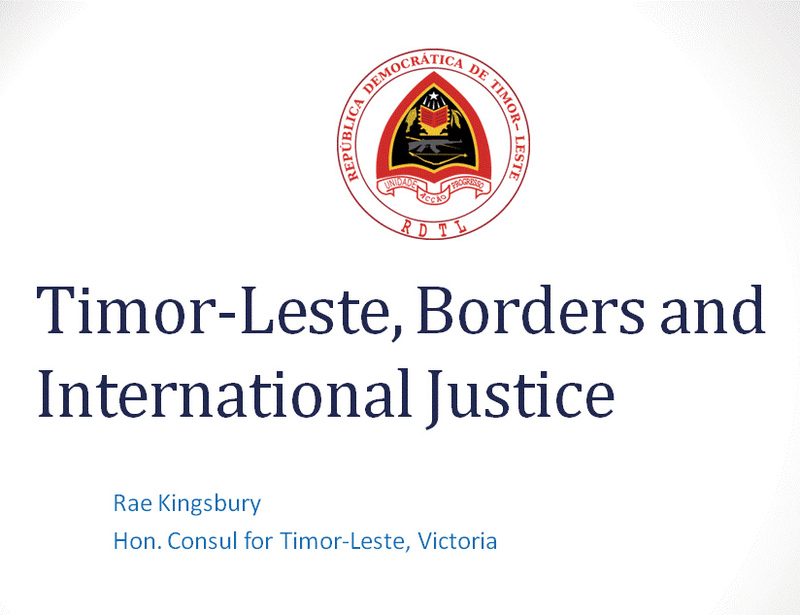 More than 60 people gathered at the Delatite Hotel to hear the Honorary Consul for Timor-Leste, Ms Rae Kingsbury, present the Timor Sea Justice Campaign. 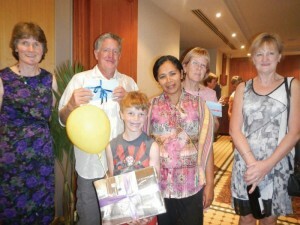 Funds were raised for community projects in Venilale in education, tourism and women’s handicrafts. Several members of Friends of Lacluta came from Wangaratta to support the event. 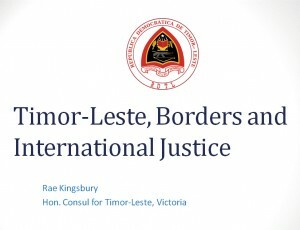 Ms Kingsbury explained the background to the dispute between Australia and Timor-Leste which was being heard in the International Court of Justice in The Hague. 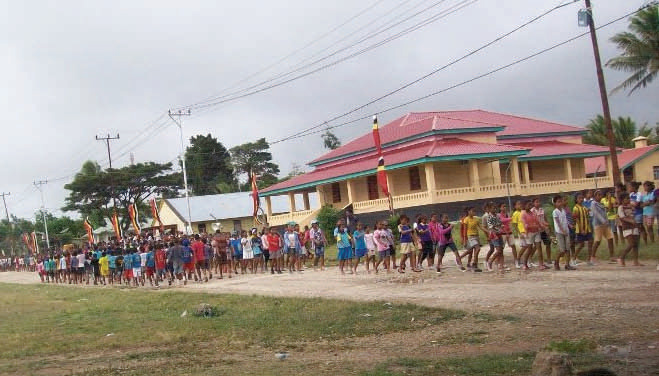 At issue is a document called a Certain Maritime Agreement in the Timor Sea, or the CMATS Treaty, signed in 2006. This treaty establishes the sea border between Australia and Timor-Leste and, more importantly, the right to exploit billions of dollars’ worth of oil and gas reserves. During the negotiations for the treaty, Australia used spies disguised as AusAID workmen to bug Timor-Leste’s cabinet room. “Australia negotiated in bad faith with our tiny, impoverished neighbour, and exploited this advantage to obtain treaty terms which are very much in Australia’s favour,” Ms Kingsbury said. The CMATS Treaty establishes a temporary border which, contrary to the provisions of the Law of the Sea, gives extra territory to Australia. If the treaty remains in force, no permanent border will be established until 2056, by which time all the known oil and gas resources will be long gone. Part of the area is the Timor Trough, a strategically important deepwater channel in which submarines can travel undetected. China is eying resources throughout South-East Asia and showing interest in the Timor Sea. 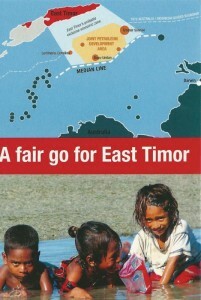 When Timor-Leste decided to challenge the unfair CMATS Treaty in the International Court of Justice, the Australian government sent ASIO officers to raid the office of Timor-Leste’s Australian lawyer, Bernard Collaery, and seize the documents he was planning to use in court. It also confiscated the passport of an ex-ASIS spy, preventing him from giving evidence about the bugging. “Again, Australia acted in bad faith and gained an unfair advantage,” Ms Kingsbury said. 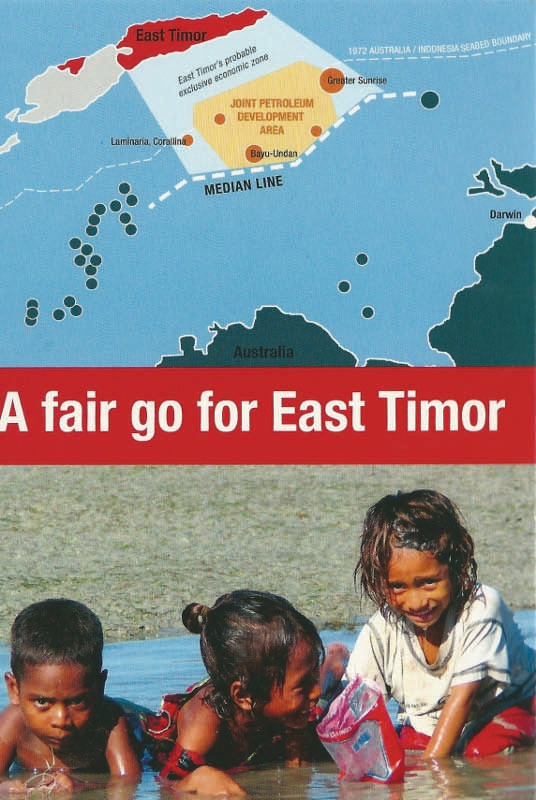 Timor-Leste is asking Australia to negotiate a new, fair and permanent border. This would restore the friendship between our two countries. 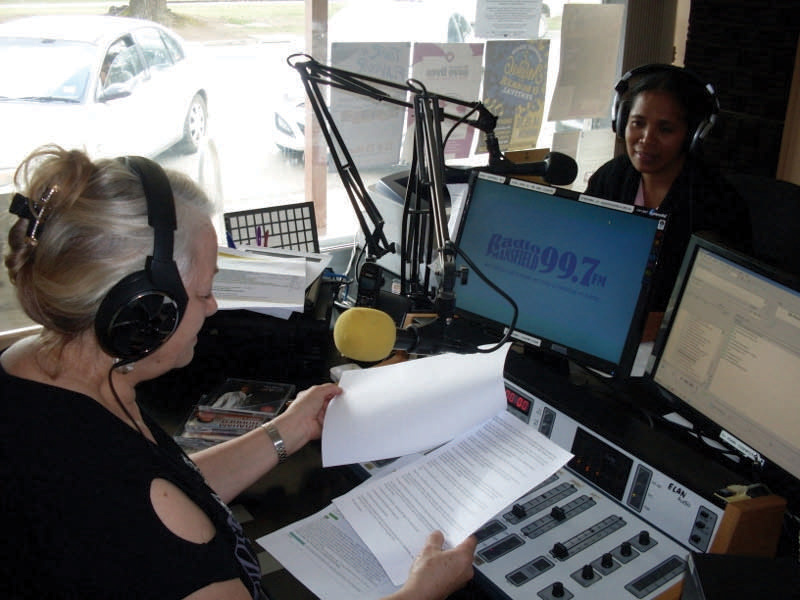 Ms Kingsbury explained that people who are concerned about this manifest injustice should write to federal MPs, senators and ministers such as Attorney-General George Brandis. 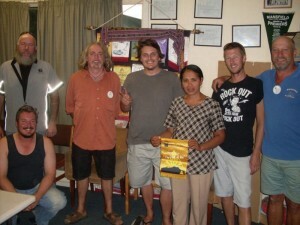 They can also join the Timor Sea Justice Campaign at www.timorseajustice.com, or follow it on Facebook. Where might you go on your next holiday?? Paul Cleary the author of ‘The Men Who Came out of the Ground’ a history of Australia’s commando campaign in Timor in 1942 leads an epic 7 day tour visiting key WW2 sites and exploring in depth the remarkable story of the Australian commandos who launched relentless hit and run raids on far superior Japanese forces in East Timor. 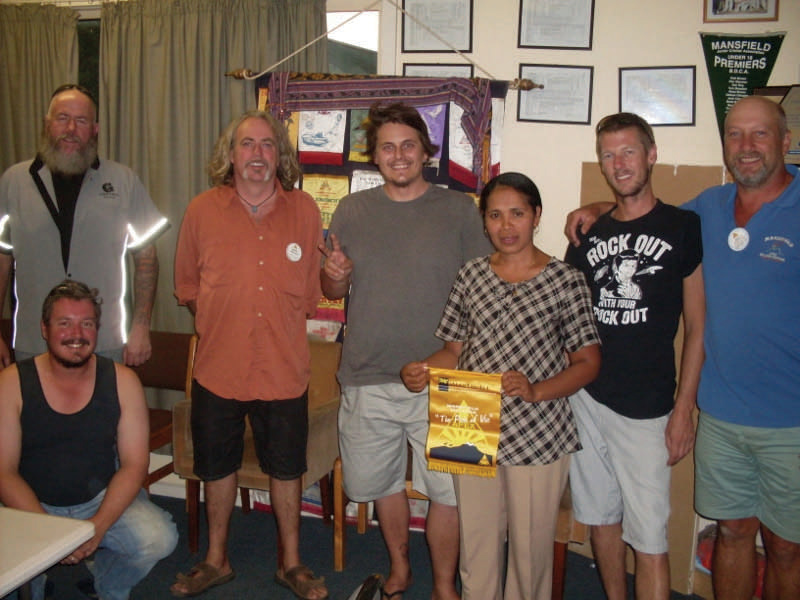 Join the ATA and Timor Adventures on a 9 day tour and bring sustainable solar power to a village in Timor-Leste. Under the guidance of local technicians you will install a village or community lighting system, get to know the community and have a great holiday. Tours include an $800 tax deductible donation to the ATA to fund the solar installation. 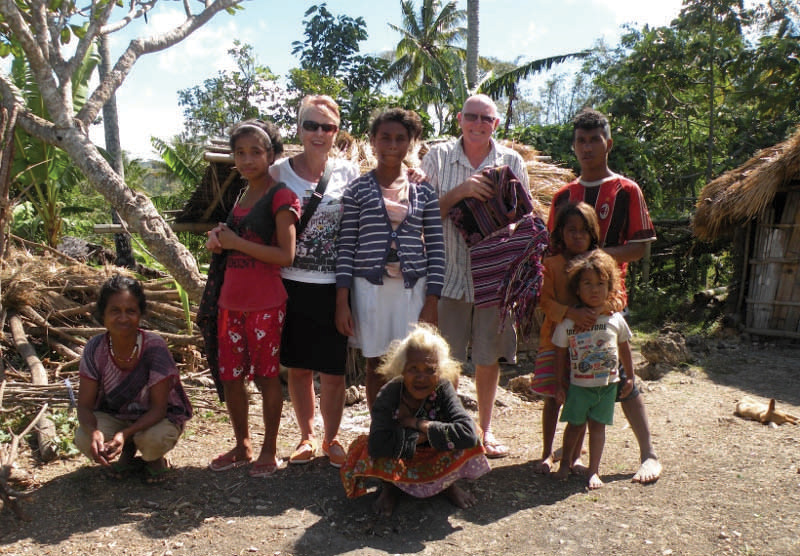 Learn about the traditional craft of Tais weaving and the co-operation that underpins these amazing women’s weaving groups. Jesuinha Leocadia Guterres was the recipient of the midwifery scholarship. She is 42 and has four children, one at university, one in junior high and two in primary school. 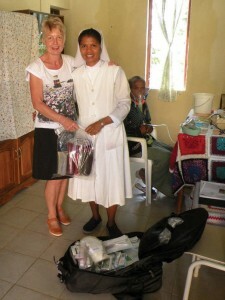 Her goal is to help women to give birth safely and more easily. She works full time in the Maternity Centre but has to travel regularly at least three hours for practicums, using public transport. 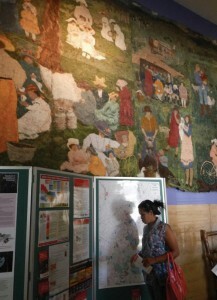 She also volunteered to learn English, a course which is run for 2 hours, four times a week, from 5 till 7pm. How’s that for dedication!